My favorite thing about Los Angeles would have to be the almost perfect climate. Second, would be the city's proximity to so many other absolutely beautiful places, like Carmel by the Sea, Santa Barbara, Ojai, Del Mar, Laguna Beach, Napa, and of course, Palm Springs! 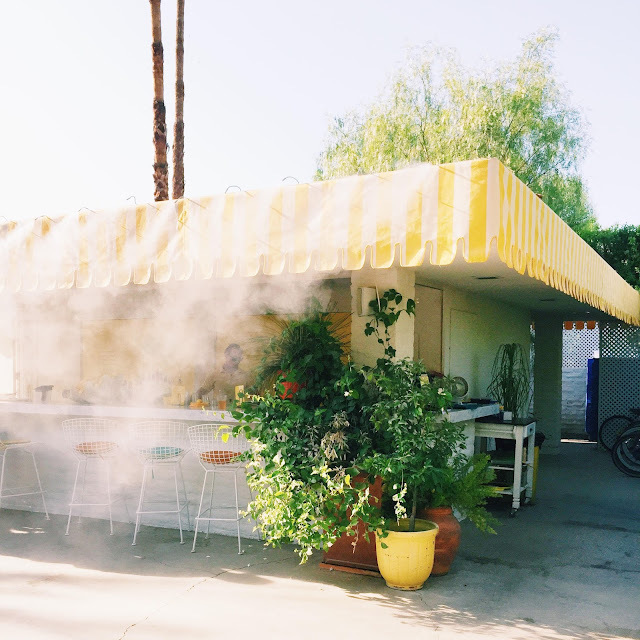 Palm Springs is a resort town in the desert, known for it's mid-century architecture, making it truly feel like a blast back to the 70's, straight out of Slim Aarons' poolside gossip! Here are some of the places I loved, enjoy! I went to Palm Springs with my mother and our hands down favorite place was the Parker Palm Springs! The uber 70's chic hotel just sums up everything I love about Palm Springs, starting with this amazing green marble at the mini bar, best captured by photographer Gray Malin's Five O'Clock print. Can we talk about this green marble? 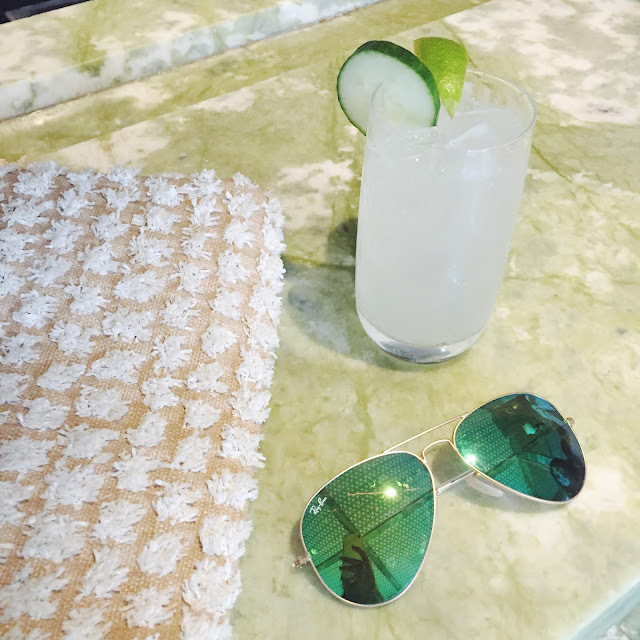 The bar is tucked into the wall of the hotel lobby, lined throughout by the green marble, making it a pale green cave with the most delectable of refreshments and the most flirtatious bartender to serve them! 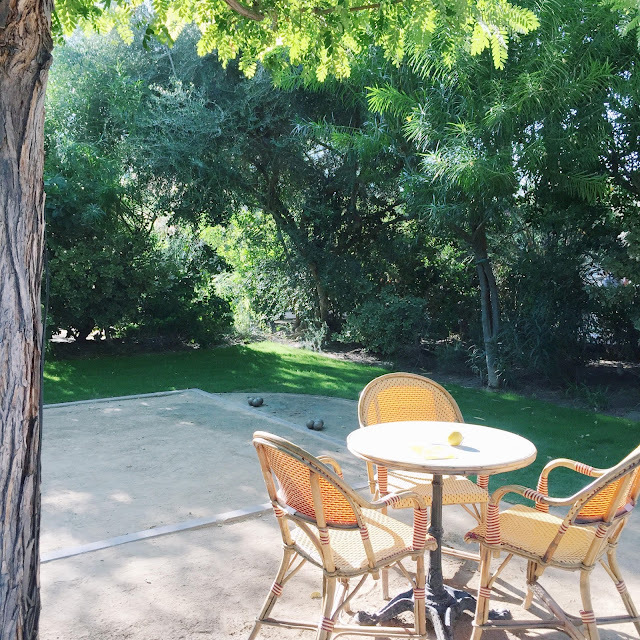 Of course The Parker has a little Pétanque court (the French version of Bocce), a tennis court and croquet court. How adorable is that? As predicted, the pool is darling too, more Gray Malin photography at the Parker here! The best spot in the hotel, however, has to be this oh so adorable lemonade stand, that clearly serves more then just lemonade! It's definitely a treat for a hot day in sunny palm springs, cool aqua misters included! 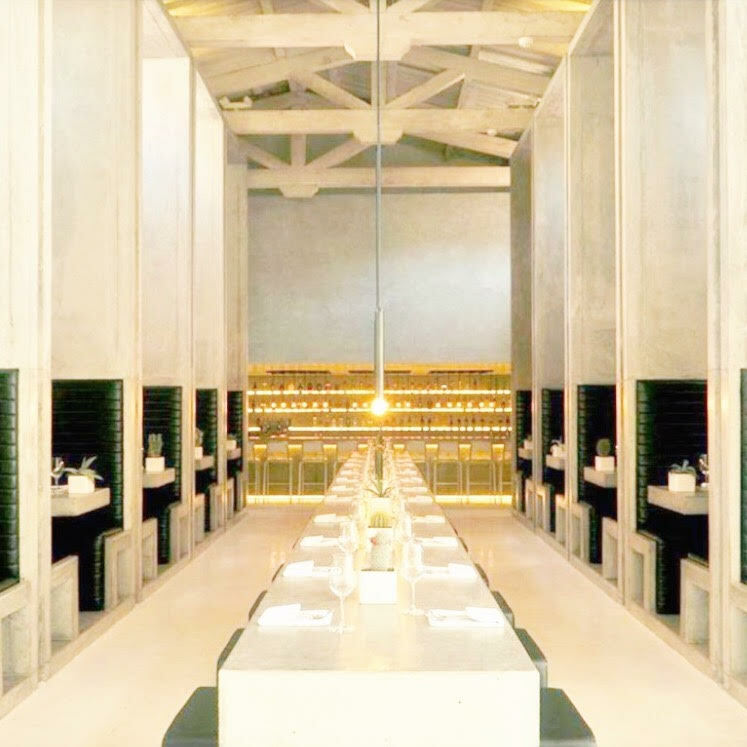 And the Parker's restaurant Norma's is the perfect brunch spot to hit up beforehand! Such a groovy vibe and yummy food! 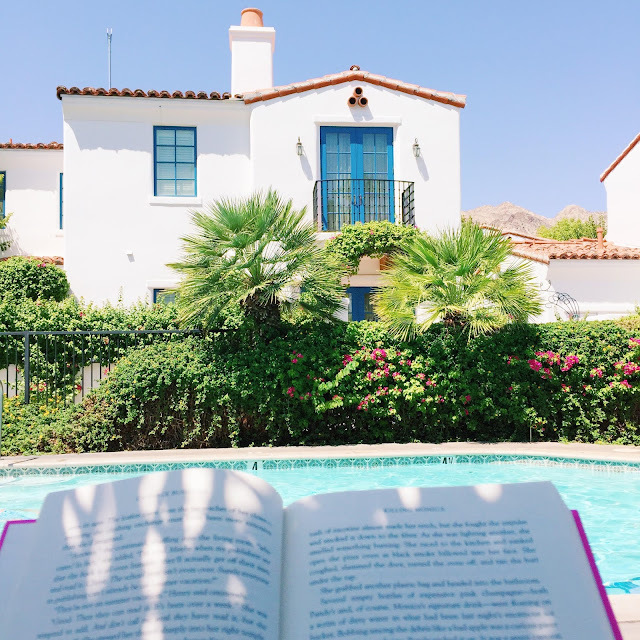 My Mother and I went to Palm Springs for a little girls weekend getaway and stayed at the very lovely La Quinta Resort! I absolutely loved the place for a more laid back and super relaxing trip, it was just what a I needed after a crazy week in the city! How gorgeous are the colors here? You can literally spend your entire vacation at La Quinta as they have everything, including 41 pools total. And that's in addition to the private ones! The main two pools were nice but I personally loved the smaller ones near the spa, as pictured. I would completely recommend coming here and burying yourself in a book and margarita! All jokes aside, I truly believe some sun, a new story and comfort food can revive you! The resort has five incredible golf courses with the most scenic views of the mountains! I don't play, but I do like driving the cart! Because La Quinta is about 30 minutes away from Palm Springs proper, I recommend planning to spend most of your time relaxing on the premises. And trust me, it's hard to leave! 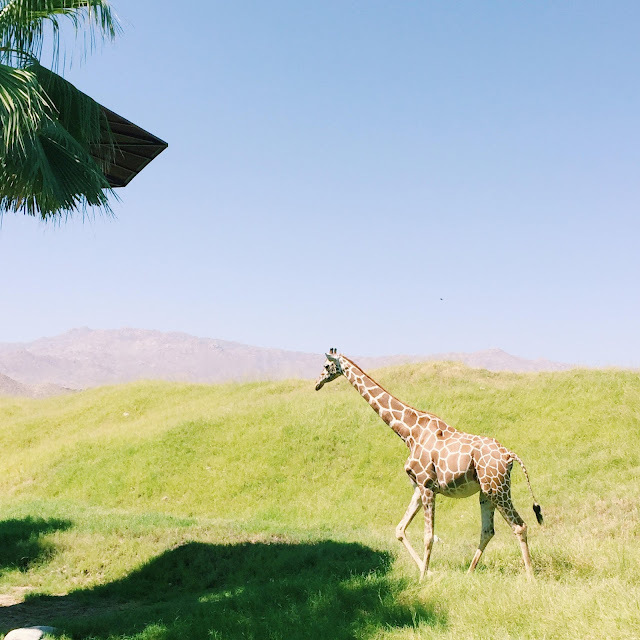 One place my Mother and I found worth venturing from the pool was The Living Desert, aka Palm Springs' version of a Zoo, but really more like a small scale safari! 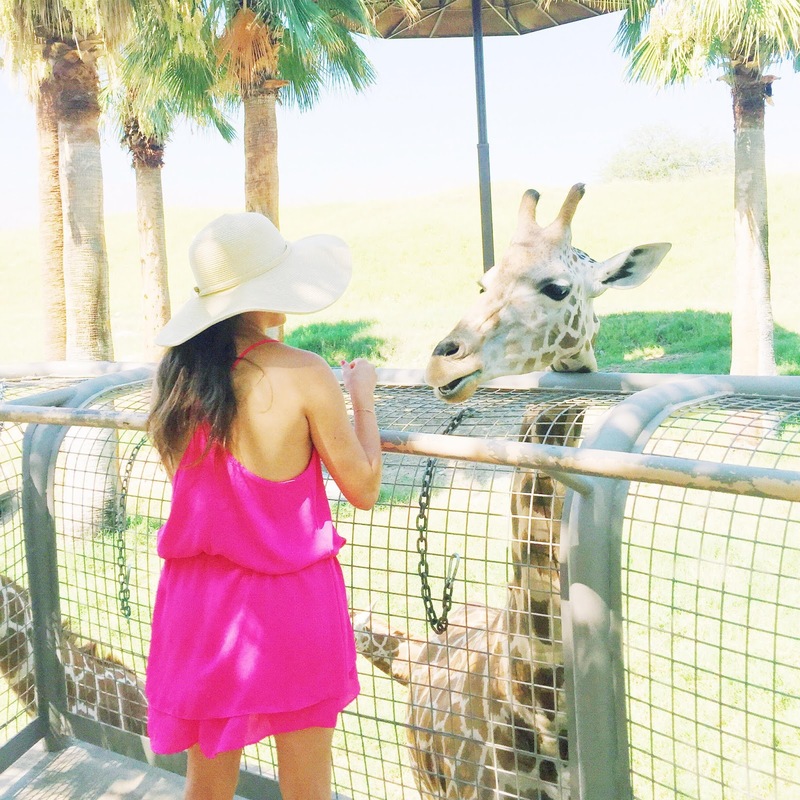 I got the lovely opportunity to feed giraffes on my trip to Santa Barbara, and loved it, so naturally I was up for doing it again! Who else is as obsessed with giraffes as I am? They are just the most magical creatures! I've even googled how they are birthed; TMI! Feeding them costs like $5 and makes for a great experience. The rest of the animals were cute too, but I really want a pet giraffe! Let's call them the supermodels of the animal kingdom, exotic, svelte and those eyelashes! Because we ate mostly at hotels, we only ventured for one meal in downtown Palm Springs but one I highly recommend! Workshop Kitchen & Bar is modern and sophisticated with the most amazing atmosphere and my new favorite cocktail, the bee's knees! Some dinner recommendations are foie gras french toast, diver scallops, house-cured gravlax tartine and the duck fat fries! Another place my mom and l loved was the Colony Palms Hotel, a truly remarkable hidden gem in Palm Springs where one can really relax without a bother! It's small, cozy and luxurious; no wonder so many celebrities and jet setters flock and retreat here. The dinner was great at their Purple Palm Restaurant. We obsessed over the Brick Dough Truffle Ditalini & Cheese, Gnocchi and Black Cod. 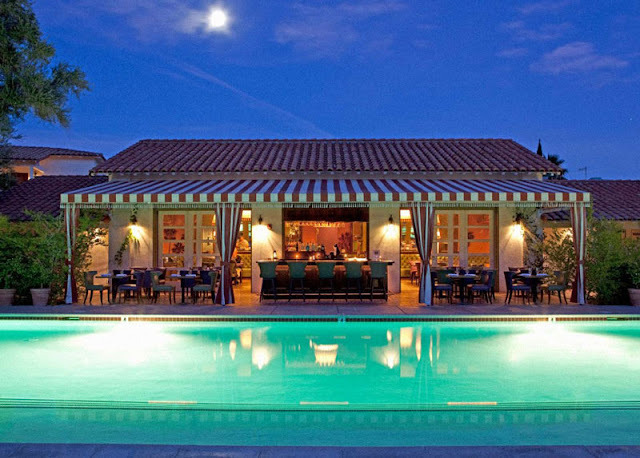 And with a pool like this, who can complain? 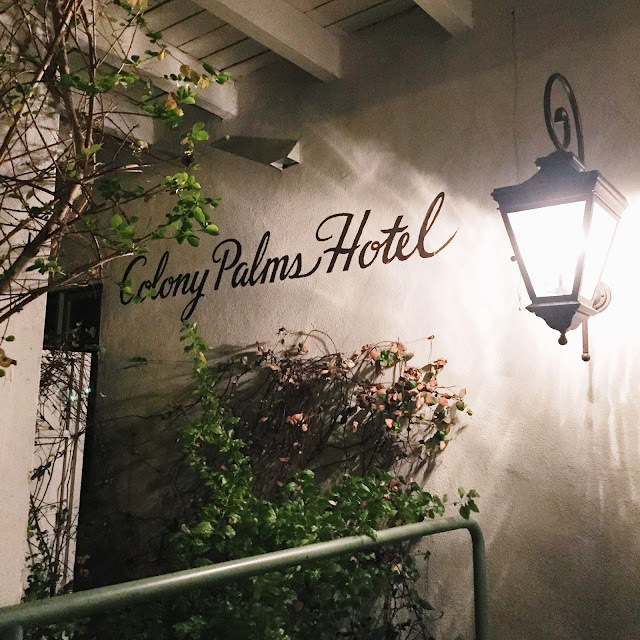 My mother's highlight of the night (or actually our entire trip) was seeing Martyn Lawrence Bullard, an amazing interior decorator who frequently contributes to the lovely decor at The Colony Palms. Hope you enjoy a trip to Palm Springs as much a I did! This place is a gem in this wasteland of small bars. Came to New York Event Venues on a Saturday night around 9:30, not too crowded at that time. Ordered 2 beers and fries and the total was around $16.